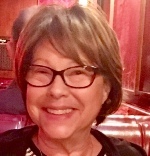 Lori Fitzhugh, 60, of Traverse City, Michigan, died on 11 November 2018. The Memorial Service was held at IRA KAUFMAN CHAPEL - GARDEN CHAPEL on Sunday, 09 December 2018 at 11:00 AM . Lori Fitzhugh (Shiffman) 60, of Traverse City, passed away at home peacefully, on Nov. 11, 2018 following a brave battle with cancer. Her courage and determination enabled her to live life on her terms, but never losing sight of how important others were to her. Lori is survived by her beloved husband, Andy Fitzhugh; children, Ian (Katherine) Williamson, Kristen Carter, Kate Williamson, Alex Williamson, Andrew (Rebecca) Fitzhugh and Michael (April) Fitzhugh; brothers and sister-in-law, Irving (Marla) Shiffman, Gary Shiffman (partner, Frank Kraatz); grandchildren, Natalie and Owen Carter, Jacob Williamson, Hannah and Emma Fitzhugh; Lori is survived by several nieces, nephews, cousins and many other loving family members, as well as several dear friends while living in Phoenix. Lori worked in Phoenix for American Airlines. Lori is the daughter of the late Ralph and Natalie Shiffman. Interment will be in Traverse City, Michigan.